Sapona Plastics, LLC is a rapidly growing injection molding and assembly company located near Seagrove, NC, producing plastic products for the personal care, consumer goods, telecommunications, electrical, industrial, HVAC, medical and automotive markets. The business started in April 2004 with 10 molding machines. Recent machines added are all electric machines which are faster and use 25% less energy. 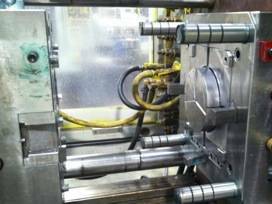 Processes include thermoplastic injection molding, insert molding, over-molding, brush making. decorating and assembly. Primary products include lip balm containers, buckets, brushes and scrubs, control and cable components, filter components and a variety of other custom products. 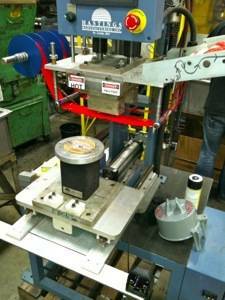 Secondary operations include assembly, labeling, hot stamp, ultrasonic welding, and sublimation printing. Warehousing, fulfillment and distribution are offered from two facilities near Interstate 73/74 and a short distance from I-40/I-85. Part and mold design project management services are provided with a network of local tool shops and international sources, in house CAD and on site tool maintenance. Better Service: On time delivery, error free, proactive communication and action on customer terms with a personal touch, all at a reasonable price. High Quality: Early involvement on new projects with input on design for manufacture and repeatable robust processes, highly trained people and more accurate measurement equipment. Low Cost: Investment in automation and high capacity tooling to lower production costs.